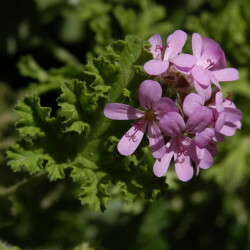 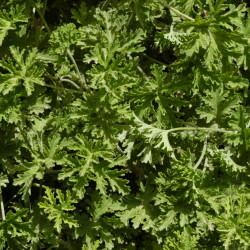 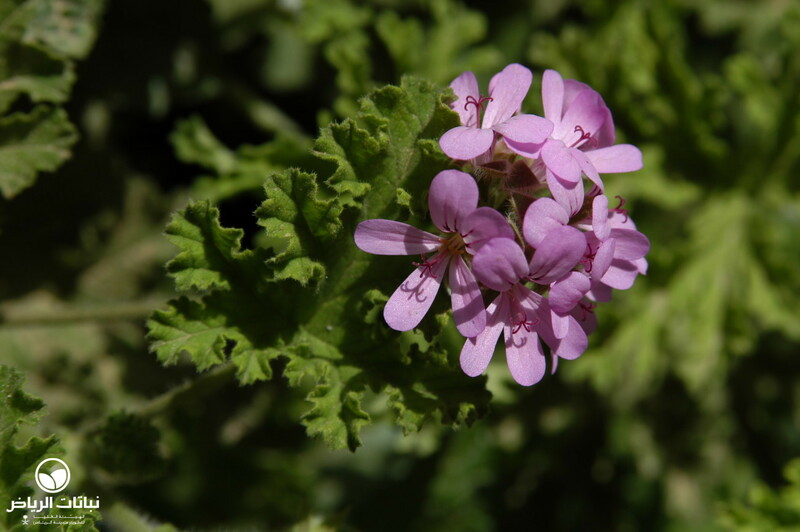 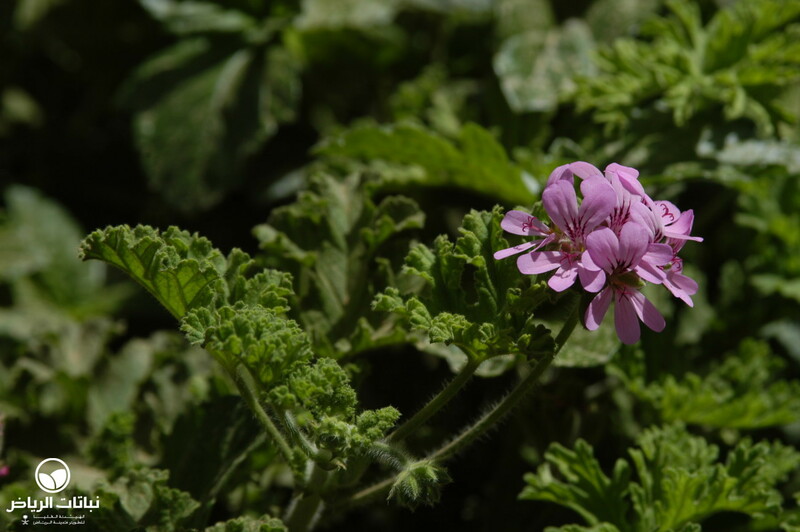 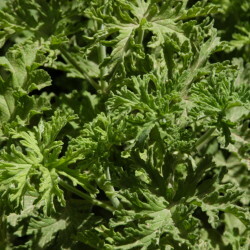 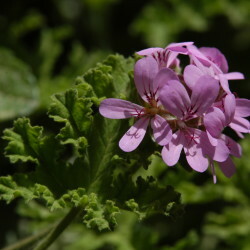 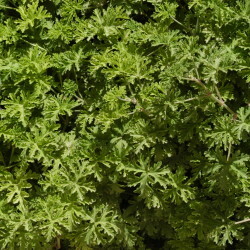 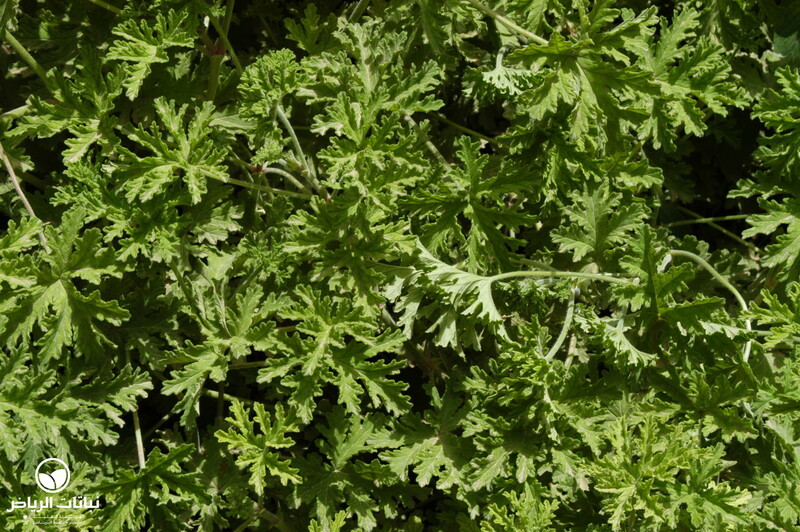 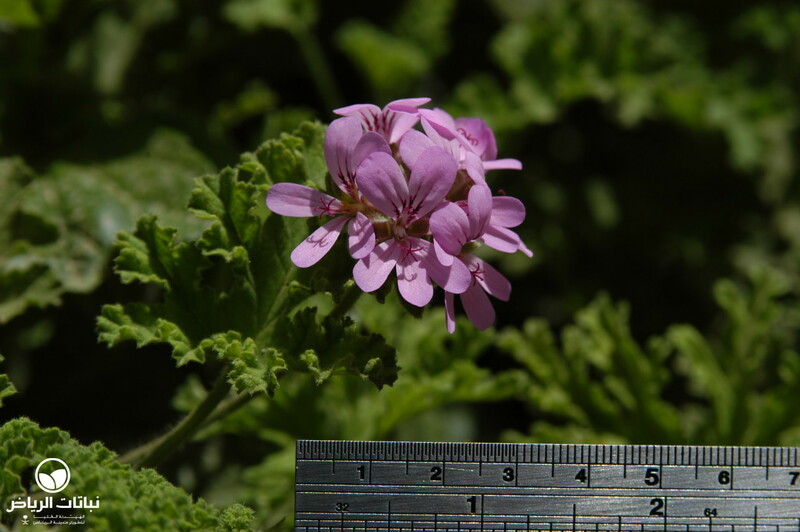 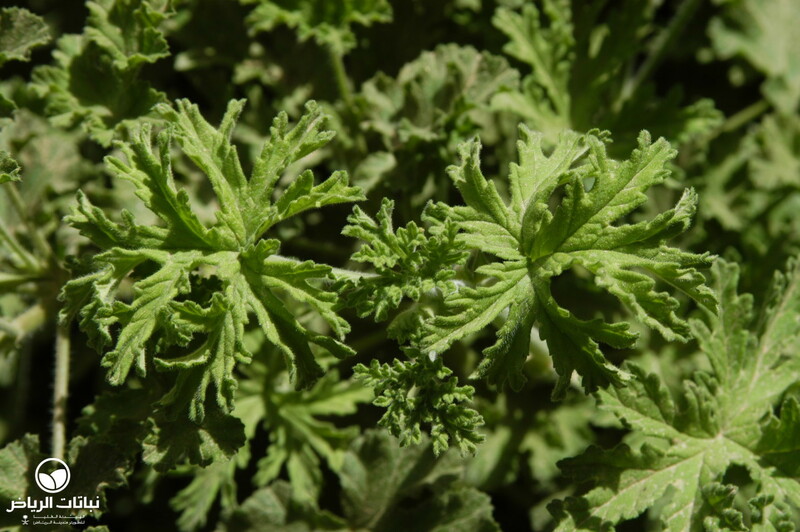 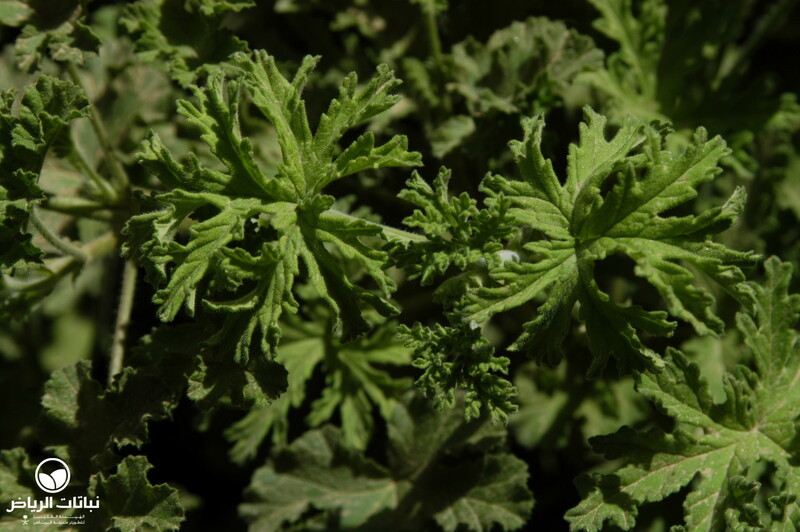 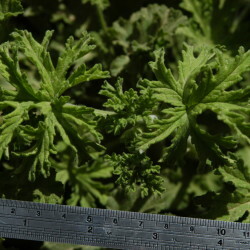 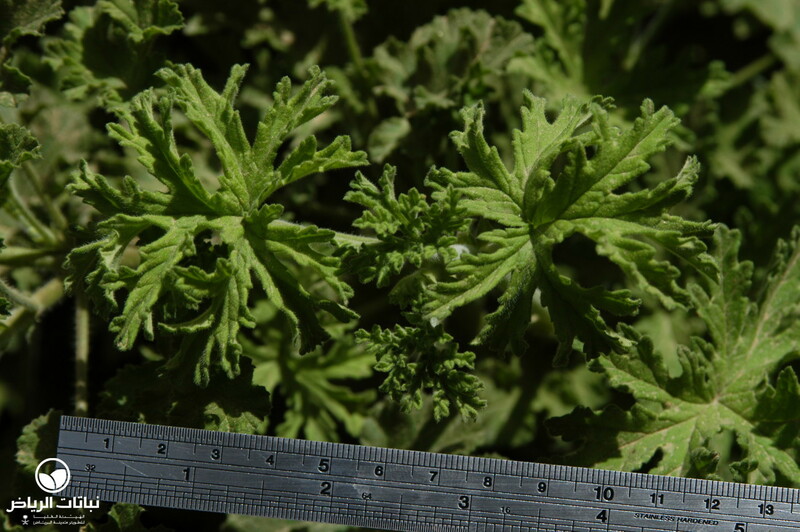 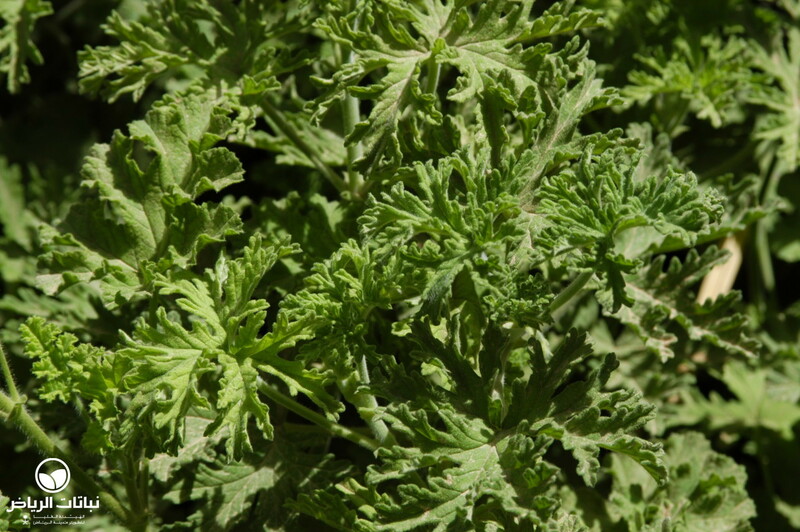 Rose Geranium is grown for its intensely scented leaves. 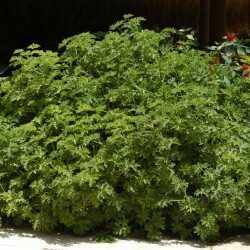 It is an erect, branched bush growing to 1 metre high with equivalent width, originating from the Cape Province, South Africa. 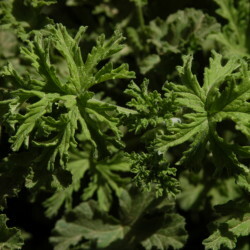 Its hairy, fleshy stems become woody and brittle with age and are densely covered with evergreen, wrinkled foliage in fresh green. 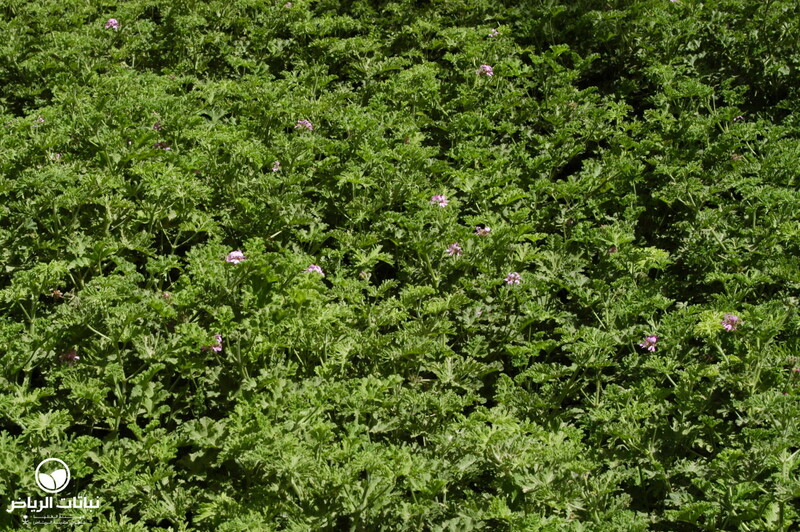 Coated in glandular hair, they instantly release a strong odour of roses, hence its common name. 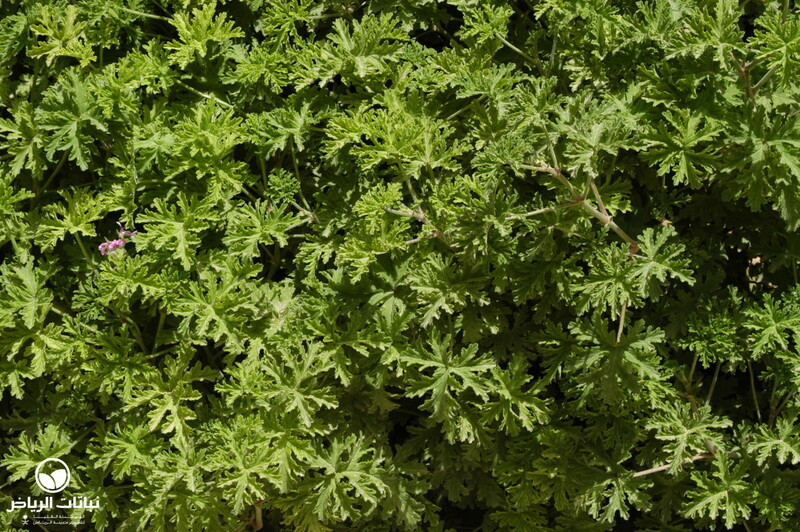 Its fragrance is also the reason for the species’ name since, in Latin, graveolens means strong-smelling. 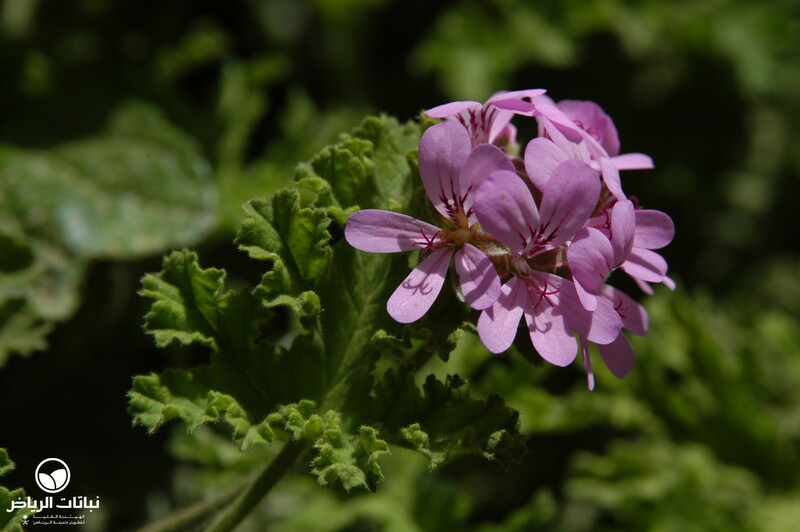 They are used to manufacture geranium oil which is far less expensive than true rose oil. 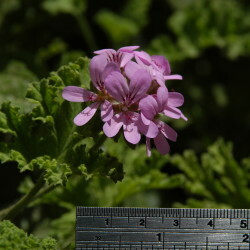 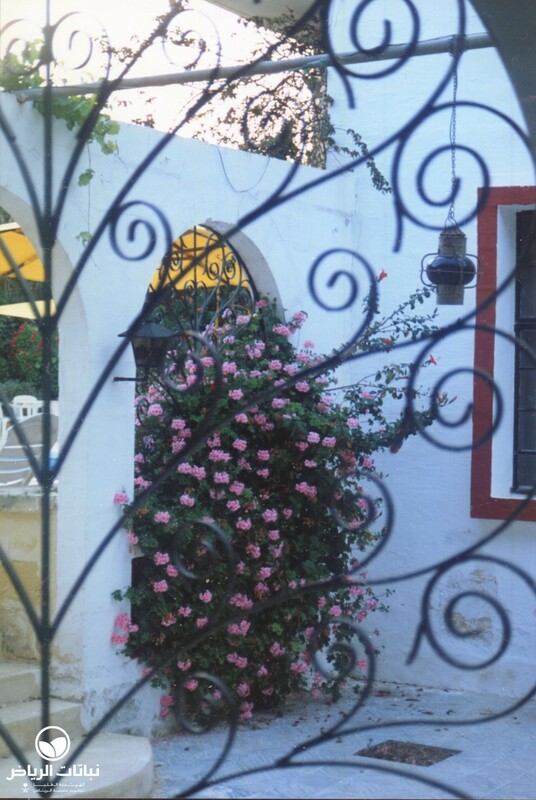 The pink or white flowers are smaller and less showy than the floral display of its relative Garden Geranium. 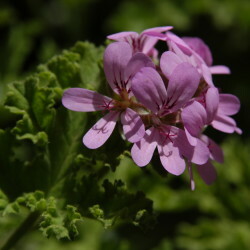 Nevertheless, they look attractive and enhance a mixed border from late winter to summer, with a peak in spring. 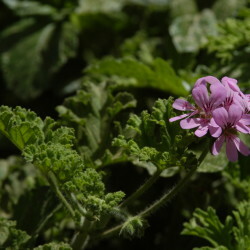 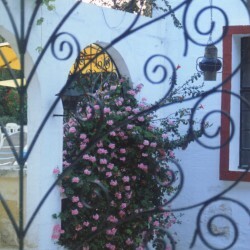 Rose Geraniums are used to hot summers and mild winters without frost. 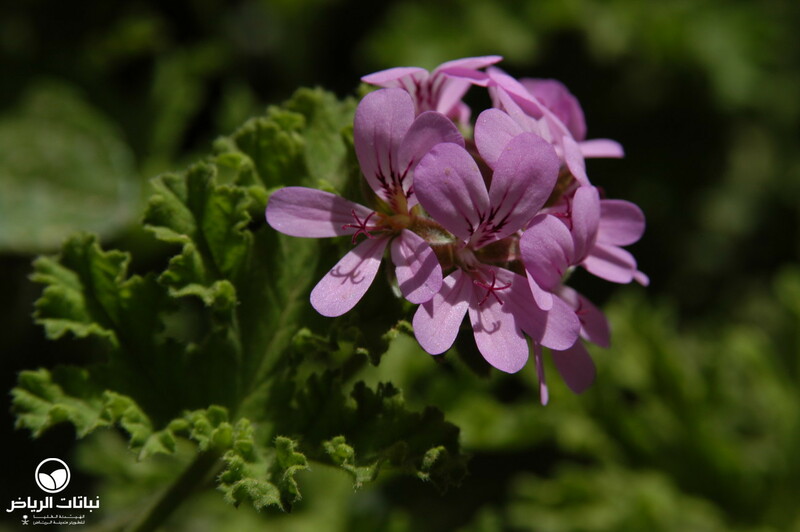 They do best in semi-shade positions protected from full sun in the early afternoon, and are an attractive addition to a garden in Arriyadh. 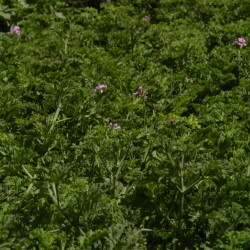 The soil should be moist all year round, but brief periods of drought are tolerated. 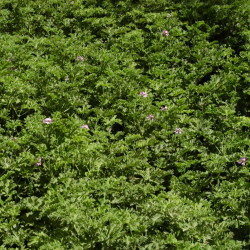 The plants are best grouped close to walkways to facilitate occasional brushing by pedestrians. 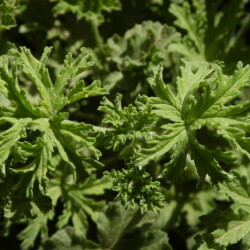 They grow well in pots and containers if drainage is adequate. 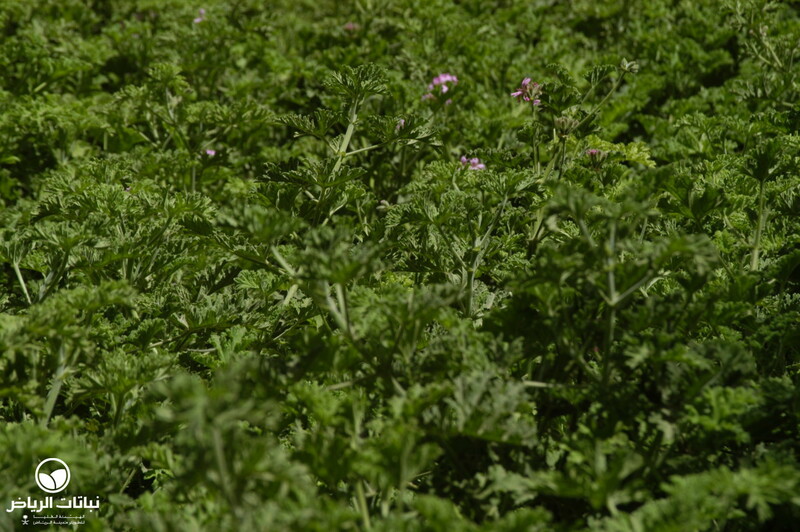 Soils may range from acidic to alkaline, but should not be compacted. 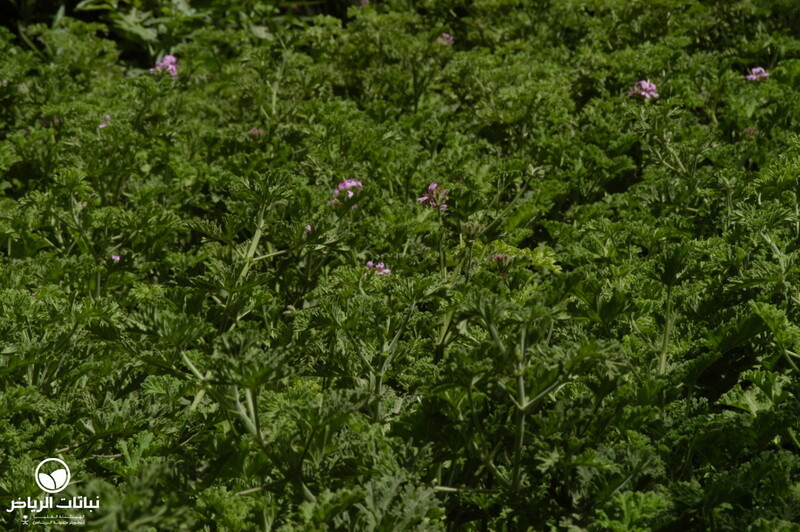 Poor soils should be improved by compost, and some slow-release fertiliser every so often is welcome. 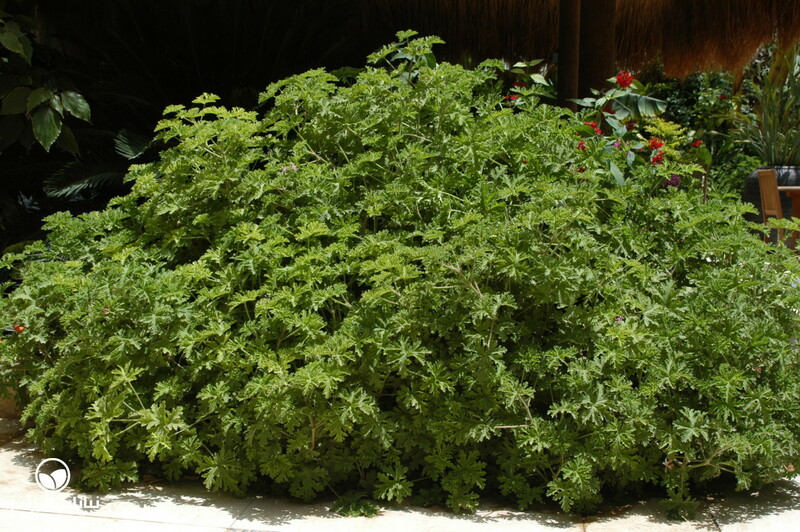 Set amongst taller shrubs, this healthy plant makes an ideal filler.